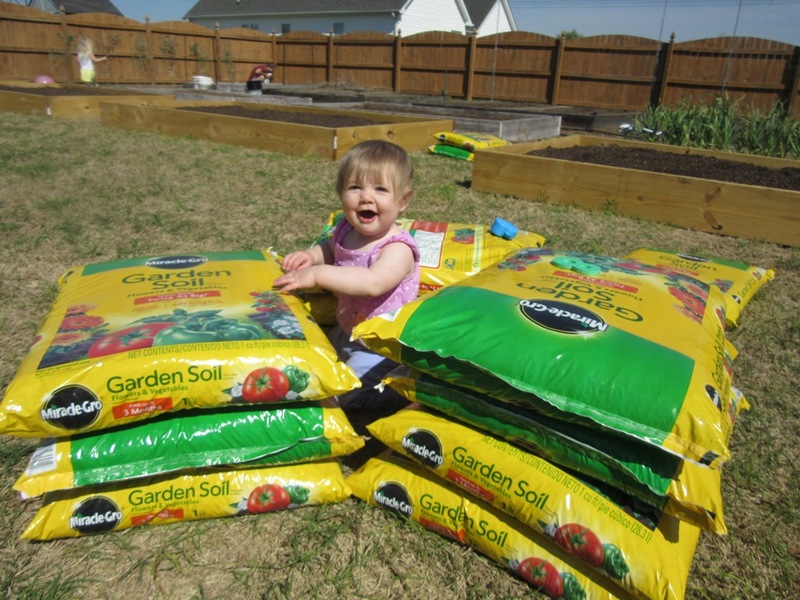 And it must have addled my wits, because I went to Lowe’s last week and bought 100 – yes, 100– bags of garden soil. That is one big pile of bags. My idea for a dirt slide didn’t quite pan out. 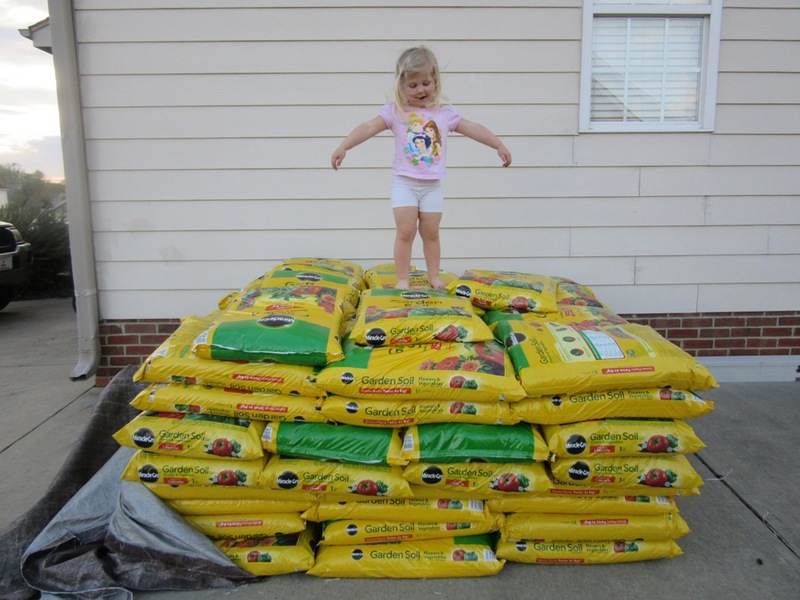 Lowe’s is having their “Spring Black Friday” sale and the soil was on sale for $2 a bag! They’re normally $5 a bag! That’s insanity!!!! They must have been expecting people to go crazy because the lady didn’t even bat an eye when I told her I wanted 100. I asked about delivery and was informed that Lowe’s would happily deliver it for $79. Or I could go to Uhaul across the street and rent a truck for $19. Or I could take the cheapest route and make multiple trips with my car practically scraping the back bumper under the weight of soil. Guess which route I chose? Yep, the cheap one. 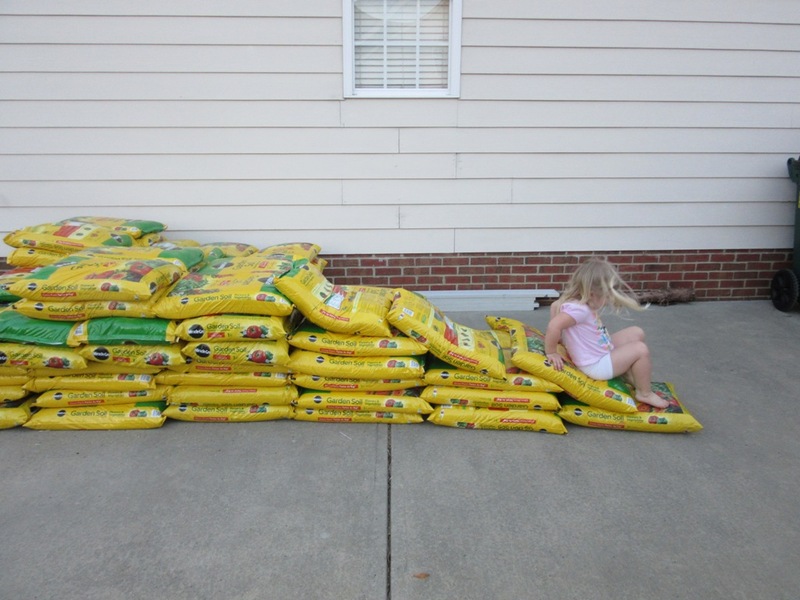 But it only took about 2 hours and 4 trips (1 to get the carseats out at home and 3 to schlep the dirt) to get the bags home. Unfortunately, it had just rained so I couldn’t drive straight out to the garden to unload. Which meant that we spent a good portion of Saturday moving the bags of dirt from the front of the house to the back where we actually needed them. BIT and LB had a fabulous time playing with the bazillion bags of dirt, making forts and stairs and beds and anything you can think of. We even made a BCU (BIT-Containment-Unit) and she thought that was pretty cool. We then spent an additional significant portion of our weekend dumping said bags into the new garden beds and mixing in some vermiculite to lighten things up a bit. That’s a lot of garden. 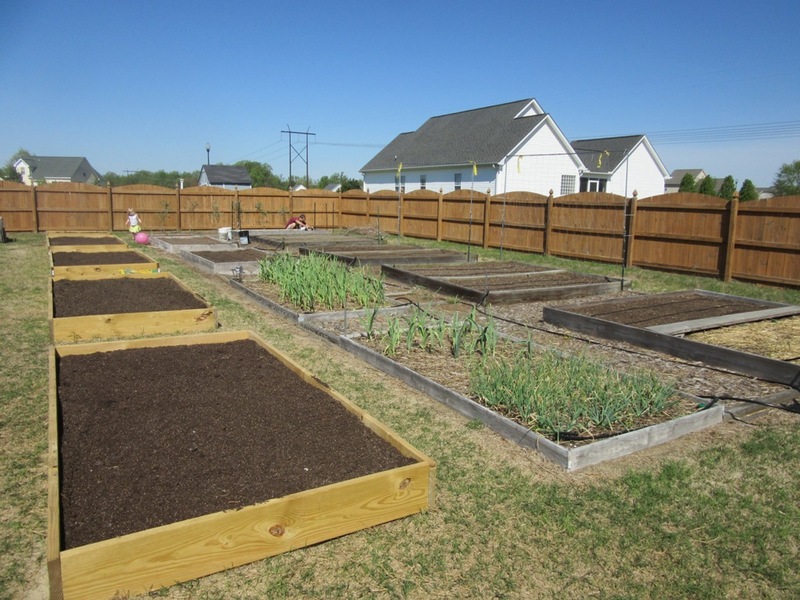 We also tilled and amended all of the remaining garden beds. And planted carrots, lettuce, parsnips, peas, spinach, and swiss chard. And the DreadBrewer and LB planted some of our potatoes. And we repotted the tomato plants into bigger containers. That’s a lot of chalk. 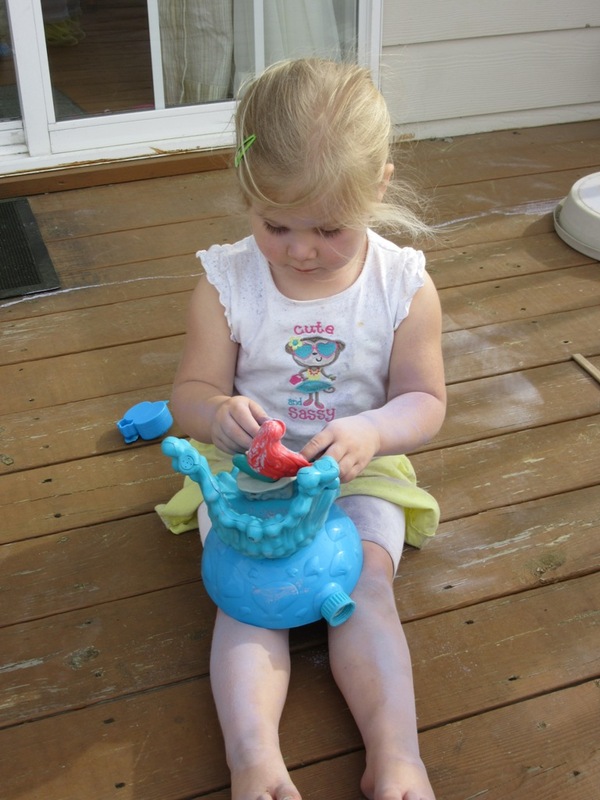 And then we realized she had been quietly and industriously coloring herself and Ariel purple. Luckily it was just chalk and nothing permanent. And we did catch BIT chowing down on a clod of dirt from one of the new beds. That kid will eat anything, I swear. She was seriously put out at having her midmorning snack taken away. 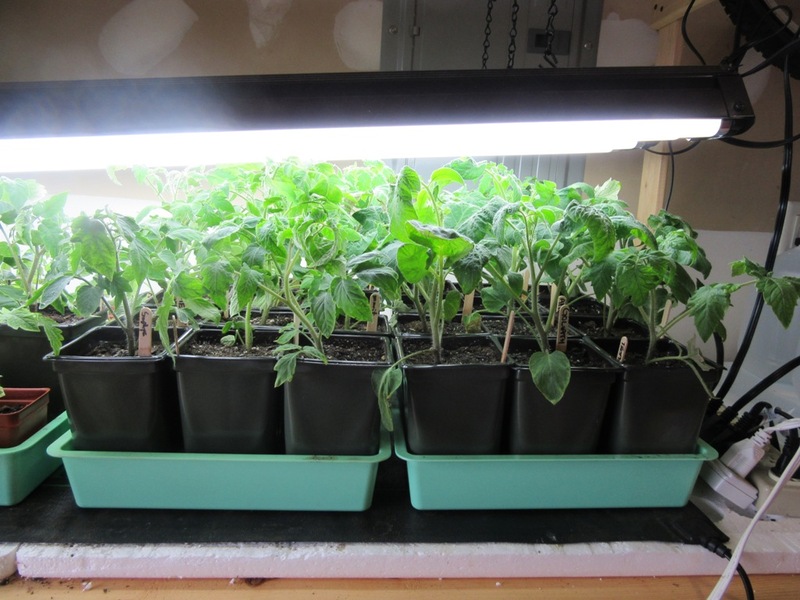 This entry was posted in Gardening and tagged BIT, DB, Garden Updates, LB, Tomatoes by BrewsterMama. Bookmark the permalink.